For a princess living in the modern era, Kate Middleton lived a life just like most girls who grew up in the 1980s, went to school in the 1990s, found love in the 2000s, and got married in the 2010s. 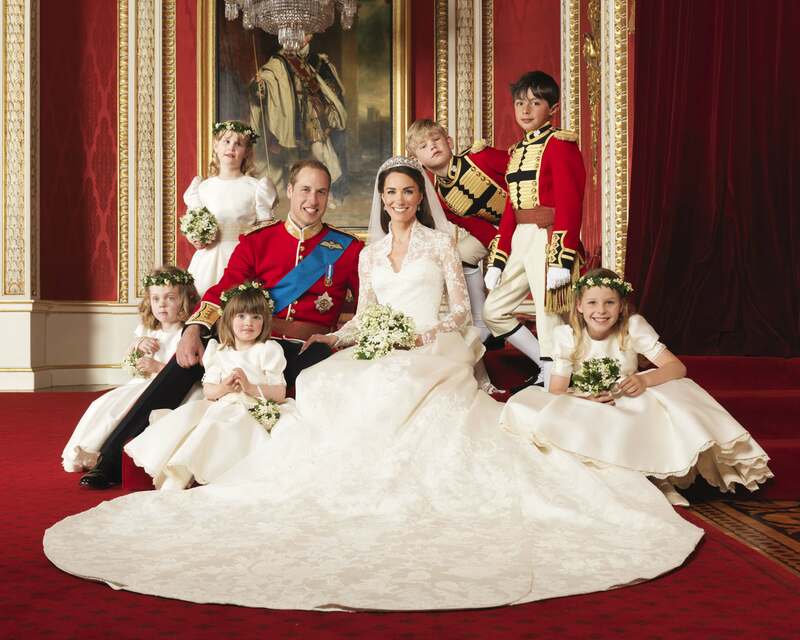 However, unlike any other girl, she married Prince William, and that gave her the fate of Princess Kate. Born to a common family in Britain, she probably never thought about that one day she would become the person she is today. Although her family was considerably wealthy at the time, she was an extremely hardworking kid who didn’t take all the wealth for granted. When she became a student at the University of St Andrews, she met Prince William. At first, there wasn’t any spark of love between them, they were just classmates, and Kate already had a boyfriend by then. However, the university was a place for true gold to shine, and Kate’s unique glamour and charisma quickly unfolded. The young prince quickly became interested in Kate in a romantic way, and tried to confess his feelings. Being a loyal girlfriend, Kate rejected Prince William relentlessly, even if he was a prince. The occasion didn’t shake Prince William’s heart but firmed it more. He waited and waited… waited when snow covered the earth, waited when the flowers rejuvenated… waited for the girl who shined like the finest pearl in the world… until one day, Kate parted ways with her boyfriend. Knowing that his dream girl became single, Prince William showed his love again without any hesitation. Deeply moved by his dedication, Kate accepted the young prince’s love, and they officially started a romantic relationship. The couple spent lots o time together, watching the sunrise in the morning and the bright stars at night. In 2011, the couple married with the wishes of people all around the world. 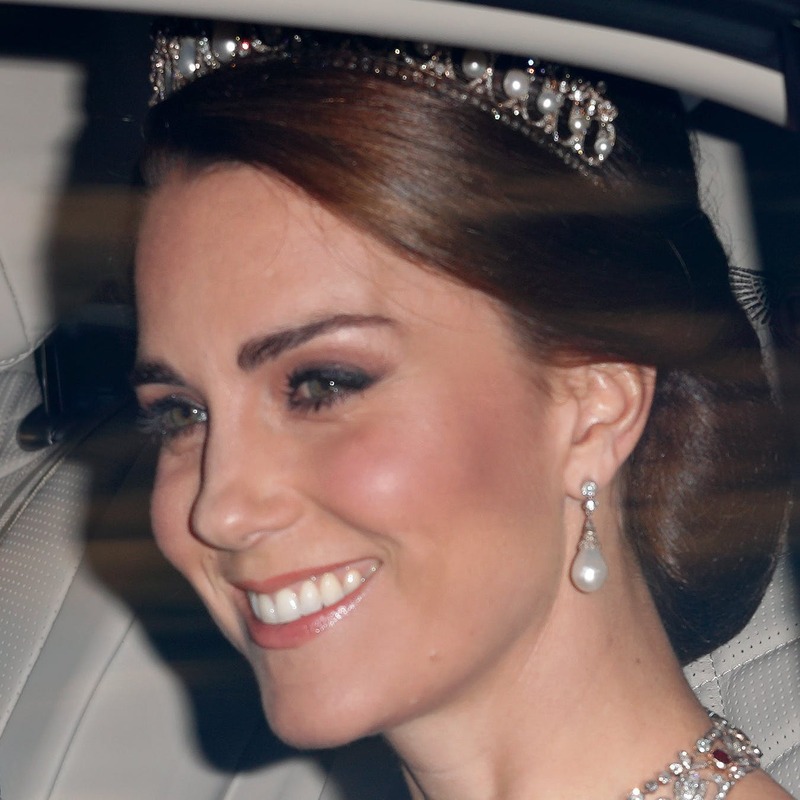 Queen Elizabeth II conferred Kate with the title of Catherine, Her Royal Highness the Duchess of Cambridge. Joining the royal family gave Kate the chance to create an elegant fashion style of her own. Perhaps if her mother-in-law had still been alive, she would’ve got deeply influenced by her. Nonetheless, Kate’s fashion style was always eye-catching and unique. 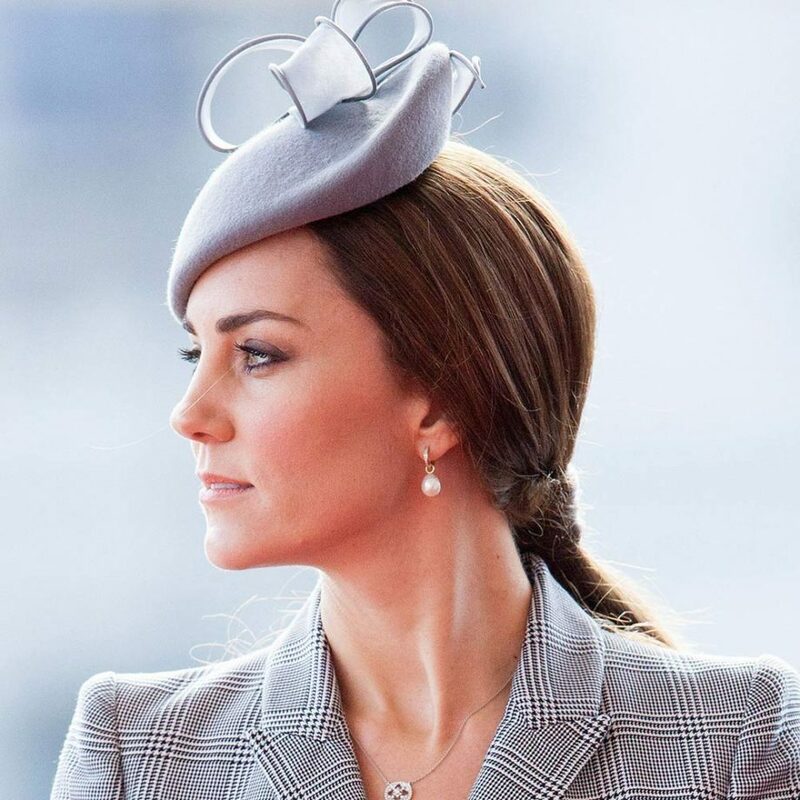 As a royal lady in the modern era, she has a particular interest in pearl brooches. She wore different brooches on various occasions, to embellish her coats or gowns. As the picture shows, the leaf-shaped pearl brooch fits perfectly on her brilliant red coat. Similar to all pearl jewelry, pearl brooches add a special spark to vibrant colours. If your gown or coat has a really bright colour, a stylish brooch will really ignite its brilliance. Different than other pearl jewelry, you can also wear pearl brooches on casual and non-formal clothes, and they will still fit nicely. For example, if you are wearing a sweater in autumn or winter, it will still add traces of warmth to keep you away from the autumn’s rain or winter’s chill. For a royal yet refreshing design, DK Pearla’s Leafy would definitely allow you to follow Kate’s fashion styles, with a unique flavour of your own. The leaf-shaped design provide a vintage feeling of nature and classic pearl brooch styles, it goes well on all kinds of autumn/winter fashion, you can even wear it on your hats and scarves. If you want to go more for a winter feeling, try our Snowbloom or Elsa, and let the snowflake design resonate with your winter and holiday spirit! All brooches feature top quality freshwater pearls, and their high luster will definitely add a unique style to your fashion. Come with DK Pearla, and create a royal fashion style of your own, shine brightly in autumn and winter. Let the autumn rain become your melody, let the winter snow become your harmony.